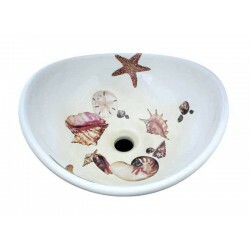 A variety of colorful shells with lots of pink, brown and beige highlights painted on a toilet tank and lid. 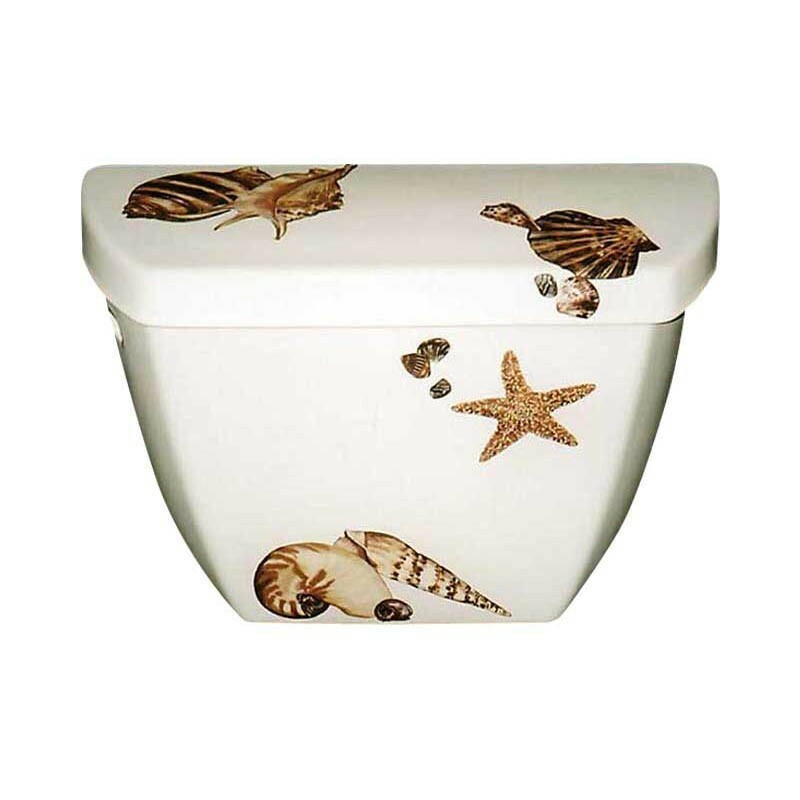 Great for a beach house or place by the sea. Coordinates with the Sea Shells Drop-in. 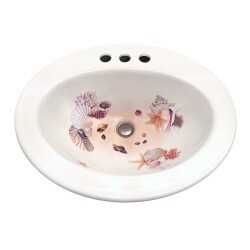 Shown on a white Kohler Highline Toilet Tank & Lid. Can be adapted to most toilet tanks. Visit the Fixture Choices page for info. 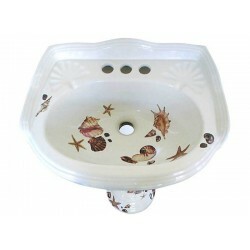 Price includes Toilet Tank and lid only, we will let you know what bowl to order from a local supplier or over the internet.